Dr. Stuart Fischbein chuckled when he read the title of the press release: "Women with a fear of childbirth endure a longer labor." For those of us who aren't OB/GYNs, it may seem more like a cruel joke. Women who are afraid of the pain and the possible medical complications associated with giving birth have to suffer through it longer? In other words, the adrenaline released when a body is stressed stops the oxytocin hormone production that makes a woman's uterus contract, slowing labor. It's a natural, biological response to fear, Fischbein said. Fischbein, who's also a co-author of "Fearless Pregnancy," said women today are afraid of giving birth because they're surrounded by horror stories. "We have a society where sensationalism sells. They're pounded with information [about] things that can go wrong with childbirth. Of course you develop fears." To understand Fischbein's lack of surprise at the study results, you have to take a look at the way other mammals give birth. For example, when cats, dogs or horses are in labor, they find dark places to have their offspring in peace. They eat when they're hungry, pace if they're in pain and run if something comes near them. Compare that to a hospital setting, where a woman is given ice chips, strapped to machines while laying in bed and surrounded by people who are constantly interrupting. Though the machines and medical personnel are sometimes necessary, Fischbein says the stress comes from being in an unfamiliar environment. He recommends women find a doctor or midwife who will take the time to talk through their fears and dispense honest advice about the birthing process. Child birth is a different experience for everyone. If you remain calm and embrace it, you will do fine. There is nothing to be scared about. If only that were true. Childbirth is the most dangerous day in a woman and child's life. Though there is no sense to fearing it because once you are pregnant it is inevitable. It is very true. Both of my labors were fast and relatively pain-free. I was in my 30's and had a healthy perspective going in: women do this every day and most of them do it again, so it can't be that bad. We actually had fun in the delivery room! OMG, there's that "Childbirth is the most dangerous thing a woman can do!" sensationalism again. No, it's not. It's not even in the top 10. No wonder women are afraid when idiots go around spouting things like that. Childbirth is dangerous for women. Denying the danger of childbirth is foolish. With pregnancy come the risks of hypertension, diabetes, stroke, ectopic pregnancy which always results in the loss of a fallopian tube and reduces the chance of future pregnancies, hyperemesis gravidarium. placentia prevaria, placentia abruption, infection, stroke, heart failure and other more rare complications. There are other more rare complications as well, subarachnoid hemorrhage, cerebral hemorrhage and rupture of aneurysm in the brain, aorta or heart. My son and I nearly died at his birth. If you had a good experience you were lucky. Be grateful, and realise not everyone has the same happy memories. We count ourselves lucky that we both survived. Peridot–I'm sorry that you had such a difficult experience (I mean that). But you do need to know that yours is not the norm. Pregnancy and birth should be treated first as a natural state of being and only as a medical condition after it becomes clear that natural avenues have been exhausted. Somehow or another, even with less access to health care, wars, untreated childhood diseases, malnutrition, and child marriages populations in 3rd world countries continue to explode. Quite obviously, birth can happen without someone jamming an IV in someone's arm, denying them food and water, and demanding that they lie in a bed for the hours before birth. I'm not suggesting that these countries don't have huge problems on their hands or that they don't have a birth-associated mortality problem, just that maybe the "medical advantages" we experience as patients in a western country aren't the most important reasons most of us survive the experience. You must be on Prozac. Every birth is different & every woman must be prepared to help herself in an emergency. Training to keep as relaxed as possible is important. However, so is being knowledgeable about what is normal throughout the entire process & being trained how to act during an emergency. I have delivered 6 times. Most of my labors have been uncomplicated. I have had labors where everything went so well that it only lasted 2-3 hours even though the baby was very large. However, I also had a labor of 16 hours where, after delivering the head, we discovered the baby was wrapped 4 full revolutions in the cord. We had to actually push the shoulders back in & revolve the baby bodily to unwrap that cord so we had enough slack to deliver without rupturing the cord. If I had not been trained to understand immediately why it was important(I could bleed to death if the cord ruptured) it might have taken too long for the doctor to explain & be successful. My next delivery was perfectly normal as soon as the water broke & a normal length. My daughter was a first time parent when she went into premature labor. Since she had attended the births of all her 5 siblings she was able to keep her child alive by fast thinking. She saw the amniotic sac protruding when she used the rest room & immediately used a towel to support it & keep it from rupturing until they got to the hospital where specialized care was available for a 30 week baby. Preparedness keeps you from being scared when everything goes to heck in a handbasket. Doing the right thing in cooperation with your medical team can lead to a much better outcome. I bless my first doctor who believed a better prepared & knowledgeable patient could help herself. It works. Thank you Bridgette and Cindy! Your comments are very comforting. 10 more weeks to go! Your welcome! 5 minutes after giving birth to my daughter I was already telling my husband I want another one lol..so if I can say that then you can tell its really not that bad. Here's hoping your OBGYN is better than my idiot. Mine refused to listen to me when I told him something was wrong. 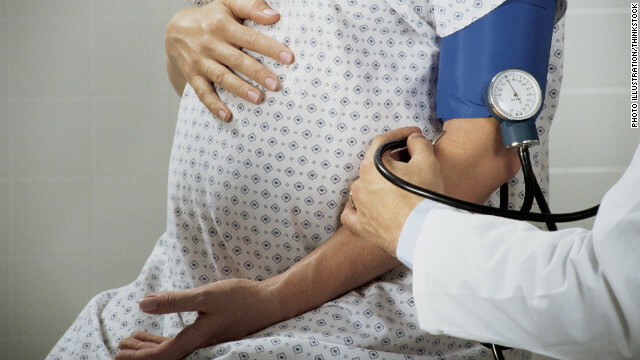 A good doctor can make a difference in your birthing experience. Most times the best thing to do during labor is to distract yourself by focusing on something else. I played cards during the 1st with my Mom. She must not have been concentrating, because I kept winning, LOL! The 2nd went so quickly we only had time to walk about & joke with my mom & grandmom a little. For the 3rd, I watched a TV nature program. During the 4th I read to one of my children. The 5th we walked laps around the labor floor. Everyone in the family took turns with me that night & we told a lot of jokes. The 6th we all sat around laughing, talking, & playing cards. Most of my labors were 3 hours or less. We took classes in natural childbirth & updated them over the 17 years we had babies. That really helped us to know what to expect. We also had the kids attend birth classes. The only time my labor got very difficult our teenager took charge of the kids, as we had prearranged, while my husband helped me & the doctor. We had a plan for that type of emergency & we implemented it. I cannot recommend the natural childbirth classes enough. It takes a lot of fear away to know just what will happen & why. Also, they taught us a lot of things to make it easier & more comfortable. Things we would not have thought of by ourselves. I used the breathing exercises every time I was in labor as my contractions got stronger. I hope you have a short successful labor. It can definitely be stressfree, wonderful, totally by the book or it can go the opposite way, like mine. Every pregnancy and delivery is different. I had a by the book, totally predictable pregnancy but when it came to birth, I was terrified. I think some of the issues that came along with my son's birth were from not knowing what to expect and then yes the horror stories, but there were other issues out of my control that prolonged labor – cord around his neck, low heart rate, etc. Which only added to my stress and tiredness. I ended up having a c-section after 21 hours (no pushing). I think that if I wasn't so scared it probably would have gone a lot more smoothly. Wrong. My niece fell pregnant on Norplant. I have a beautiful grand-niece. She's 15 years old now. It doesn't work very well in all cases. Just be well informed going in – I had my daughter at 32 and my son at 35 – I was in labor for 19 hours with my daughter but didn't have a hard time AT ALL. By the time I could push, I did 3 times and there she was – even quicker with my son. Read all you can, ask questions, know your plan (and yes an emergency one just in case) and you'll do fine. If your nervous about childbirth, do what I did..watch tons of birth videos on tv or online. It gives you a much better perspective on what happens, how the woman feel well there going through it, what things to do well in labor. It really made me see what I would be going through and its almost comforting to see that most births are not that bad, and most woman handle it well. I was nervous and unprepared with my first and it wasn't a good experience. The hospital automatically gave me pitocin even though my water broken and I was progressing fine and contracting regularly. From there, I needed an epidural, with the epidural my labor slowed down (defeating the purpose of the pitocin), then I couldn't push efficiently = epidural turned off. Baby came out so so so sleepy and unalert (note – this does not happen to every mother/baby with an epidural but it was my experience). As a result – baby couldn't nurse. We made it work in the end (6 weeks later after pumping round the clock). With my second – I was determined to do it differently so we hired a doula and took Lamaz classes. What a wonderful and different experience. The labor was much different – childbirth is tough and it does hurt BUT being calm about it, knowing what exactly was happening with my body and what was coming next made me able to handle the contractions including transition without the anxiety and panic I had the first time. I'm not going to lie and say it didn't hurt b/c pushing an 8+lb baby out is painful but there was so much less stress and anxiety. For our third child because we were in a different area of the country and I didn't know anyone who could recommend a Doula we did it without one. I was very very fortunate to be paired with a nurse who had all three of her own children naturally so she was able to be helpful and never pushed for anything. I think even if you are planning for an epidural as soon as you walk in the door, it's so so so important to take a really good childbirth education class because it will help ease your stress/anxiety. You may not feel stressed or anxious now but believe me when you are in there and aren't sure what's happening OR if something doesn't go according to your plan you are better off being well informed. I had a midwife but, becuz I was giving birth in a hospital, had to take hospital classes on labor&delivery. I was so terrified I was shaking & the fear wouldnt go away. I had to read books on Amish women who gave birth at home w/ a midwife to convince myself I was capable of giving birth. Labor was 3 hours, I was able to eat, drink & move around ... and I wasnt scared. Empowered & calm. Not sure I would go w/o pain meds 2nd time tho, yikes the PAIN! Women do need longer to recover in hospital. not 2 days! A 3 hour labor is very unusual. Anecdotal stories- good or bad- don't prepare people very well. They need the numbers and they need to know what the process is, what it looks like, what it feels like and what to do during every stage. Every woman and every delivery is different but there are commonalities. Being free from a lot of anxiety and certainly panic is very desirable. You don't need to know anything to get knocked up but we should all be educated about healthy pregnancies, childbirth and parenting. Our society depends on it. @life is now - my post was more about being so scared sh**less from the hospital labor & childbirth class and how I overcame it. Short labors are common in my family but I noticed if I tensed up labor stopped. I was 3 weeks overdue, & I think fear kept me from going into labor. I dont know if thats true tho. After I read accounts of Amish Women giving birth at home, and feeling empowered, I finally went into labor. Probably wouldnt go all natural again but it was a positive birth experience. Wow yet another story "blaming" women on "causing" longer labors due to fears, etc. Every day our scientists come up with some statistics stating men and women actually have to suffer from natural physiological processes due to our inherent American (apparently) neuroses. Wow no joke! The fact is that American women are highly likely to deliver babies without significant mortality or morbidity as compared to developing nations which have all the wonderful conveniences of no medical care, dark and dirty shacks in which to deliver (that is if you get to be indoors) and malnutrition and infections to boot. It is as much a fallacy to envision a fast birth in America as it is unpredictable but at least with good medical care you can expect to survive it unlike other places. Fast is relative. Hiring a doula (a labor and childbirth support person, who offers continuous emotional and physical support to the birthing woman and couple) is one of the very best things a woman can do to help navigate childbirth and to help lower stresses and fears in childbirth. DoulaMatch.net can help you figure out doulas local to you to contact and meet with. Women who have doulas present to help them navigate labor have 50% lower cesarean rates, far fewer pain medications administered, and lower rates of episiotomies and epidurals. Overall outcomes for mothers and babies is better in births where doulas have helped. They are worth their weight in gold! Great article and so glad to see this topic being discussed in the main stream media. I will second doulas, I had one with my both of my births, as well as using hypnosis for childbirth in which I was taught not to fear birth like the rest of our society teaches us. And I then became a doula myself to be able to help assist other moms in not fearing their births. Birth is a normal part of life that women have been doing MANY years. Childbirth was one of the most exciting, exhilerating things I've done. Did it 3 times! When you understand the process, there isn't much to fear. I hyperventilated the first time, but realized there was nothing to do, so I embraced it all. I had complications the second time, and the 3rd time had a five-day labor because they kept medicating me to keep the baby in (my previous was preterm). But I'd do it again! "Researchers at Akershus University Hospital in Norway found women who feared giving birth were in labor for 1 hour and 32 minutes longer, on average, than those who had no fear." Fear is a relative thing. How could those researcher categorise women into "feared birth" and "had no fear". In which category did they put those women who had a little fear, some fear, a bit too much but still normal fear? First two hospital deliveries were awful for completely different reasons. The first OB yelled at me when I refused induced labor which he announced was necessary two weeks before my first was due. (I've since learned that this was his MO and that he often yelled at patients). He threatened to get a court order if I didn't do things his way. I was fortunate that he wasn't on duty when I went into labor and delivered using a different doctor. I liked her, but my OB had left orders that I was not to walk around (claiming high blood pressure–which only happened when he was in the room–surpris), which meant that I had to do a long (frightening) labor in bed. 'Could have sued the practice my second OB worked for (the problematic doctor lost his license a year later). He caused the complications my second born suffered from. On top of this I had to fight to keep both hospitals from giving my sons bottles. Post delivery discomfort was high (the second doctor called for a post delivery shot of pitocin, which he considered routine, in order to speed up the after birth process. The nurse kept squeezing my uterus and got impatient when it didn't happen as quickly as she thought it should. All of this got in the way of the bonding process, though both hospitals claimed ahead of time that they offered mothers plenty of time to hold their infants after birth, it simply wasn't true because of all the "routine" interference. I decided there had to be a better way after that. There was. I delivered with a midwife in a birthing center with both my third and fourth. The experience as compared to hospital delivery was like night and day. In both cases I delivered quickly (very quickly) and easily. I treated like a team player, given choices, allowed to move around, eat, go to the bathroom, take a bath or shower, walk (I walked for hours), light scented candles, etc. Mine and the baby's health were monitored closely, but it did not interfere either time. Both babies nursed beautifully and we had all the time we wanted to bond. We went home within three hours. Post delivery recovery was surprisingly easy. I felt like I could run a mile afterward. I said all that to say this (sorry, meant to edit that a lot)–Neither hospital or OB did anything to alleviate my fears. In fact, everything seemed designed to intensify them (IVs communicate that this is a medical procedure, constant fetal heart monitoring introduce worry, C-sections are a 50/50 possibility these days, and so on and so on). Think about it–if a woman labors with the possibility of even more medical interference hanging over her head, is she going to be able to relax? Of course not. Completely true. My first 3 at home were a cinch. The last one in the hospital would have been a nightmare, had I not had enough experience to compensate for what they were putting me through. They wanted to speed up the labor (why?) and gave me pitocin, but also told me (because of the nature of my medical risk) not to push. Really bright. Then they wanted to test me for lupus while I was in labor – coming at me with a huge needle to stick in my hip to get to my bone marrow. I told them to get away from me. I also learned, later on, that if I was given a c-section, they were going to take the opportunity with the permission i had given for surgery, to remove my spleen at the same time without asking me. Nice going folks, and this was at a top teaching hospital in CA. I really should name it, because it is considered one of the best in the nation. Oh yes, I told the imbecile doctor that the baby was coming through the birth canal and she walked out of the room – I mean what did I know? It was only my 4th birth. Then she got a hunch and returned to the room less than 30 seconds later to catch the baby. Ladies, if you want an easy birth, study other cultures, relax, meditate, breathe, visualize. Start practicing ASAP. It's really not hard. Women have given birth successfully through the eons. We were designed for it. Every woman's labor is different. Labors are like snowflakes, each is unique. Some woman have cooperative uteruses and others do not. Some woman give birth like a toaster popping out bread, and other labor in unimaginable pain. This is NOT just a function of fear, belief system, the ability to calm oneself, visualization or even family history, etc. IThere are so many factors that can play into this, you cannot kneejerk and say 'labor is supposed to be LIKE THIS'. My first labor, I had horrible back pain. I was not progressing. I went 36 hours until finally I had a completely assisted birth. I had an epidural that didn't take, and the pain was unrelenting. This was not a function of medical interventions or fear, it was a result of two things: a preexisting back problem from my job, and the fact that the baby was transverse. The nursing staff treated me like a wimp, and it was the most unpleasant and miserable experience of my life. With number two, I worked out and strengthened those back muscles as much as I could. I made sure that I was surrounded by people who were supportive. My labor was cut in half, but I still had terrible back labor, though not as bad as before. But there is only so much that a 40 year old can do. My advice: Be in shape. Have positive people in the room, and keep away anyone that is a negative force, that includes the staff. For it's not just fear that can interfere and make it more difficutl, it's STRESS. There is no way to cope with the situation you're going through AND deal with other people who aren't being supportive. It's impossible because a woman has too much work to do. That being said, I think that it's a total set up for a woman who has had easy births to say to other women, 'if you just did it like me, you'll be fine and it won't be hard'. Bullfeathers. There is a reason why they call it labor. Labor is work, and you cannot project your experience upon another woman. Even women from the same family with similar DNA and personalities, ages, and lifestyles will have different labors. Some harder than others. It's also NOT controllable in the overall sense. Your body is going to do what it's going to do. The only thing that you can do is try to cooperate with it and react with what helps the process. However it is NOT controllable in the traditional sense, else every woman would always have a perfect birth. And if you walk in there thinking that it's all peaches and cream because you did all of the right things, if something goes south, then a woman can beat herself up and say 'oh god, I did this wrong!'. No honey, you cannot do labor wrong. If you birthed that baby, you did it right. Birth hurts but with someone by your side being your support system, who believes that you can do it, can help you also believe that you can do it. Having them there to remind you if necessary that it's transient, because there is this irrational thing that can happen where you feel like it's never going to end. It WILL end. If you lucked out and had easy births, you won the birth lottery. I'm sincerely glad for you. But the truth is, the reason why labor hurts with humans as compared to other mammals is that our big brains that allow us to be sentient beings, means bigger baby heads that have to fit within a modern woman's pelvis. If our pelvises were big enough to pass a child's head without any discomfort, we wouldn't be able to walk upright. So some sort of pain comes with the territory. So again, with childbirth comes pain. However, using techniques like being in a position that works for YOU not the staff, helps. Supportive firends and family. Being in decent shape. Trying to work WITH your body and gravity. And creating an environment that lowers your stress level, ALL will help you do your job. I would also advise that one person, preferably your partner (or the most wise person that you will have at your side) should be assigned the job of being your advocate. The person that you don't have to process intellectually to support you in getting what you need. Who will listen to you and help provide for your needs. Also remember that the goal is not a perfect labor, but a healthy child. Getting the baby from the uterus to the outside world. It's like the difference between a wedding day and a marriage. The former is transient, the latter is for the rest of your life. Labor is not the end point, it's merely a beginning. Shoot for a good one, but remember the big picture. Again, you cannot control everything, but you can give it your best effort to make it work for you. Gosh! Really! Who'd a thunk. I could have saved them some money. And it would help if they stop portraying women in labor on the TV and in movies as screaming and in pain. Women in many countries who worked in the fields would squat down, give birth, put the baby on the back, continue working. No biggie. Remember that. Much of the pain comes from fear -including fear of pain. Relax, breathe, enjoy. Easy labor. Stay out of the delivery room, that helps too. I was the calmest mom she had ever wokerd with. Childbirth was intense, no doubt, but I ended up with an unplanned home birth because I thought I had a long ways to go (it wasn't *that* bad) by the time my doula arrived at my home (I was alone at home), and when she looked, she could already see my son's head! Going through transition is supposed to be the worst part, but I hadn't realized that I had already gone through it!A friend borrowed my Hypnobabies and she said that while she did get an epidural (during hour 28 of a 30 hour labor), it really helped her, too. She felt very calm and relaxed throughout the childbirth process (which took place in the U.S.). Later, another doctor (in Taiwan) said he was amazed she had a natural birth because apparently she had some pelvic injury and he wouldn't have expected her pelvis to open that much during birth.